I'm going to let them share one post! 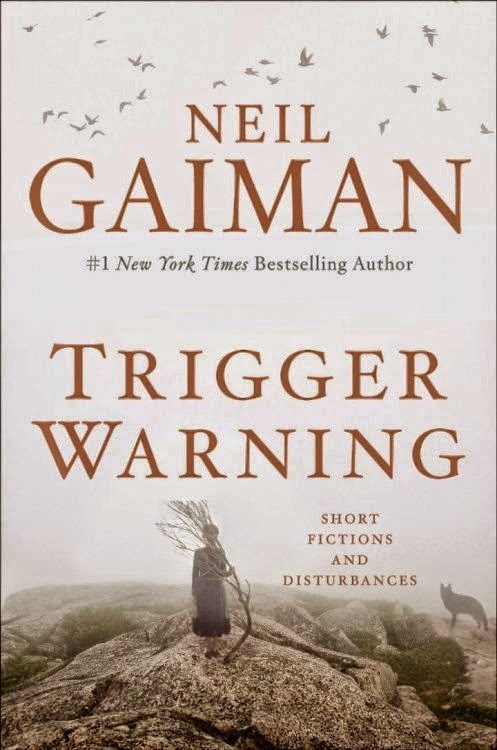 First, I read Neil Gaiman's Trigger Warning: Short Fictions and Disturbances. Now that I am usually pretty current with all of Neil's various undertakings, I had read a few of these stories in their primary works/collections. Still it was nice to revisit those and to also read some new poems and stories. I choose different ways to record short stories in my Official Short Story Recording Notebook and, for this one, I did ratings of 1-5 with 5 being best. Of the 36 pieces (breaking A Calendar of Tales into each month), I rated 30 of them as a 4 or a 5. Obviously this collection really worked for me, from the awesome "The Man Who Forgot Ray Bradbury" (which made me cry when I first read it in Shadow Show and Neil was not sorry) to "The Truth Is A Cave in the Black Mountains" (which confused me a bit the first time in Stories, clicked when I read the illustrated version, and finally became a favorite this time through), to the brilliant Holmes story "The Case of Death and Honey", and the exceptionally dark "Black Dog", featuring Shadow from American Gods. I truly think this is a collection that has something for every reader. There will also be lots of stories that will make many readers uncomfortable but it seems that that is partially what Gaiman set out to do with a title like Trigger Warning and stories with "images or words or ideas that drop like trapdoors beneath us, throwing us out of our safe, sane world into a place much more dark and less welcoming." I had mixed results with the first collection of stories I read by Kelly Link (her YA-focused Pretty Monsters which I really wish now I hadn't given away!) but I was still looking forward to Get in Trouble. This collection only has nine stories but they were great. I only was unsatisfied with one of them ("I Can See Right Through You"), mostly because I didn't like the characters or care about their dramas. I did mention a fantastic character name on Twitter (Bunnatine!) and Link responded that she got the name from this fabulous lady. And, probably not coincidentally, one of the stories from this collection was also in Shadow Show ("Two Houses") and I enjoyed it even more on this second read. My biggest (still little) complaint with Pretty Monsters was that the stories were so short that I was left wanting more of the tiny worlds she had created. I didn't feel that at all this time. It was a very satisfying read and Link will be on my list of authors to follow going forward! I'm just about to read Trigger Warning, and I'm so excited! 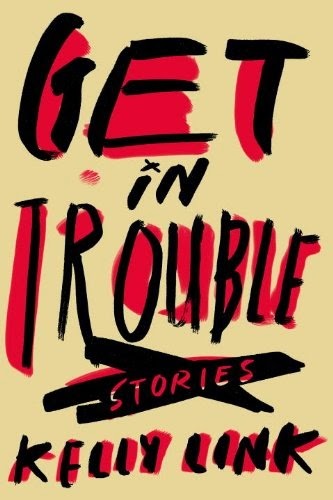 I'm not a terribly huge fan of short stories, but I feel like I'll love this collection! It's a very diverse collection so I think you will like it. Let me know! Seriously. I read this in February right when it came out. :P I don't know where I would rank this one but I think it got extra points for having a Doctor Who story in it (even though I had read it before)! I saw a few really great reviews of the Link book. I'm glad you liked it too! She's got an amazing mind so I'm glad I connected with the stories!